It’s the third project in the Loops and Thread Color Wheel Campaign sponsored by Michael’s. 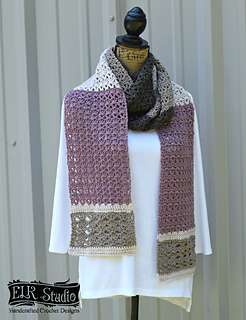 The Southern Diamonds Collection just got better because now you have an elegant scarf that is fun and easy to crochet added with the 54 colors in which to choose from in the Color Wheel Brand. 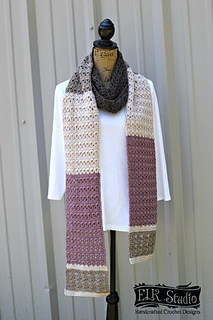 You can wrap the scarf once or twice….just depending on whatever type of look you want.